Fairly often, much of what we understand about a particular religion is based upon snippets of news stories and out-of-date stereotypes. Our Lady of Lourdes Catholic Church offers the opportunity to find out about a sacred site first-hand. 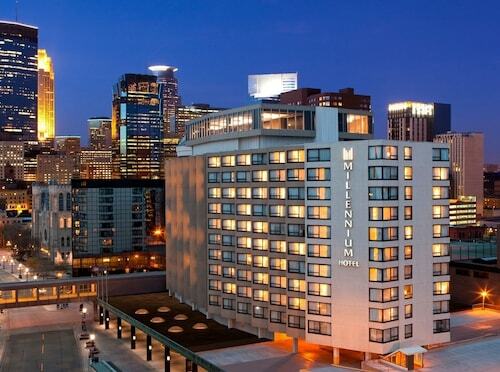 Minneapolis - St. Paul, the city where you'll find it, is an alluring place to visit no matter what the time of year. Tourists who prefer to hang their hat in the vicinity of Our Lady of Lourdes Catholic Church will find about 27 accommodation options to select from. 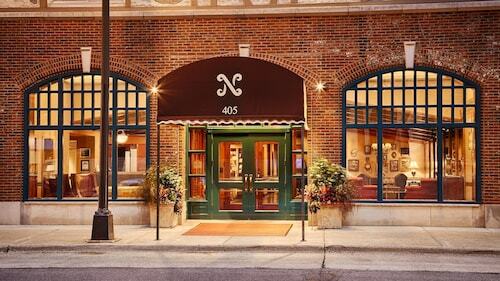 The Hotel Ivy, a Luxury Collection Hotel, Minneapolis, 1 mile (2 kilometers) away, is a good place to start. 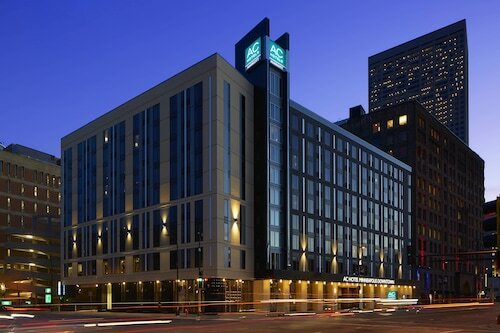 You might also like to have a look at the Residence Inn By Marriott Minneapolis Downtown, just 1 mile (2 kilometers) away, and the Loews Minneapolis Hotel, only 1 mile (2 kilometers) away. 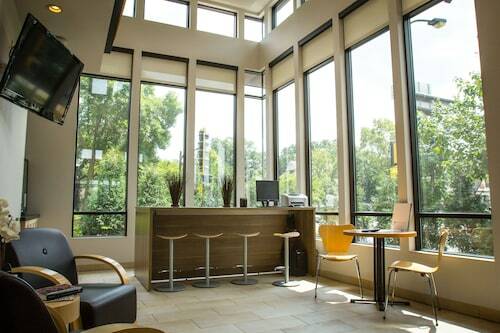 Ask any returning travelers where the most affordable hotel is, and they'll surely advise you to head to the University Inn, 0.8 miles (1.3 kilometers) away. Cosmopolitan travelers will appreciate the inspiring surroundings at one of the many deluxe establishments found in the area. 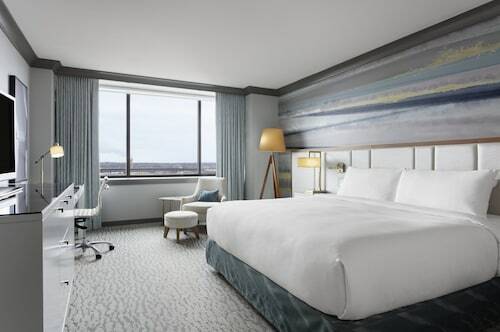 Highly recommended are the Radisson Blu Minneapolis Downtown and the Kimpton Grand Hotel Minneapolis, only 1 mile (2 kilometers) and 0.9 miles (1.4 kilometers) away, respectively. When you're finished at Our Lady of Lourdes Catholic Church, take a walk to Wilde Cafe & Spirits and enjoy a cup of coffee and the inviting surrounds. Punch Pizza Northeast is a great venue that is close by if you want to eat a full meal. If that's not enough, you can stop for a relaxing drink at Honey. An important historical site, Ard Godfrey House is a place worth visiting to get a feel for the past. You certainly don't have to be a science enthusiast to thoroughly enjoy an afternoon at Museum of Questionable Medical Devices. This fascinating facility is a very popular tourist attraction. Nature seekers will enjoy a photo opportunity at Saint Anthony Falls. You shouldn't need to leave the city to enjoy the fresh air and relaxing atmosphere of pleasing parkland spaces. Mill Ruins Park awaits tourists and local people alike. As the water moves underneath Stone Arch Bridge, imagine how much effort that was required to create this impressive bridge. Why not jump on a train when you're visiting Our Lady of Lourdes Catholic Church? The nearest station, Target Field Station, is just 1 mile (2 kilometers) away. How Much is a Hotel Room in Our Lady of Lourdes Catholic Church? Hotels in Our Lady of Lourdes Catholic Church start at $88 per night. Prices and availability subject to change. Additional terms may apply.